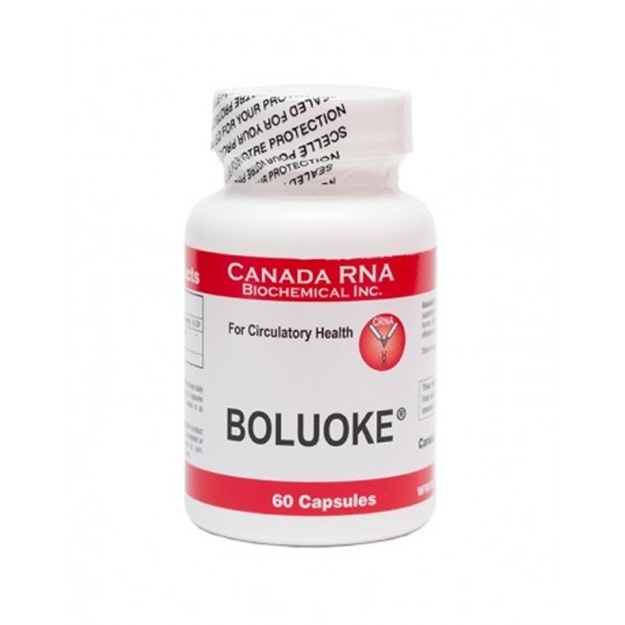 Preventing the leading cause of heart attacks and strokes can be easily achieved with a dose of Boluoke. For improved blood health and prevention of coagulation of blood platelets, which can form blood clots, there’s no safer or more effective supplement. Clinically studied, Boluoke is the most recommended supplement for this type of blood health regulation as it’s the only orally taken enzyme that’s been shown to have a consistent and high quality enzymatic strength. It’s able to work alone or alongside an existing blood-thinning treatment as it’s extremely well tolerated. Harnessing the true power of a natural far-Eastern traditional medicine – lumbrokinase, Boluoke is known as an anti-thrombotic. Essentially this means that it prevents the blockages that cause heart attacks and strokes by safely hindering a protein integral in the coagulation process. Importantly, Lumbrokinase doesn’t cause haemorrhage. Remarkably, the power of lumbrokinase was discovered centuries ago by Chinese physicians, but only properly channelled relatively recently. Even more remarkable still, it’s thanks to the earthworm that these effective fibronolytic enzymes come to be. Scientifically known as Lumbricus rubellus, the earthworm has been used over many centuries in medicine in the Far East. Its capacity to improve blood health is due to the earthworm’s ability to process and deconstruct fibrin – a protein that’s a key player in the unhealthy clotting of blood. The key to this is lumbrokinase which is also known as EFE (earthworm fibrinolytic enzymes), EPA or e-PA (earthworm powder enzymes). Although not exclusively responsible, one notable Japanese scholar – Dr. Hisashi Mihara – is known to be among the first to successfully extract a fibrin-dissolving enzyme from Lumbricus rubellus through his extensive work in the 1980s. The benefits of proteolytic enzymes -those special enzymes that break down fibrin – are considerable. Proteolytic enzymes are especially useful to the body -they don’t attack healthy proteins. The specially formulated lumbrokinase enzymes in Boluoke are carefully extracted and measured precisely -essential when we consider that the blood circulatory system is so finely balanced. These blood platelet blockages can have a serious and sometimes fatal consequence when they occur. The deaths that result from blood clots are huge -in many countries, they eclipse deaths from cancer and heart attacks combined. It’s widely known that the leading cause of heart attacks and strokes are blood clots. In fact, it’s estimated that between 50 and 90% of all heart attacks are caused by blood clots. For strokes, it’s estimated that 70% are caused by blood clots. These figures mean that there’s a huge demand for blood-thinning drugs. Of course, there are common blood-thinning drugs that are available freely -aspirin, for example. Where aspirin falls short is that it’s not effectual for blood clots and there isn’t an anti-coagulant effect from taking it. Additionally, not everyone can take aspirin, so as each Boluoke pill has a special enteric coating, this means that it’s only digested in the intestine, and not the stomach, so it’s even more accessible. Prescribed anti-coagulants include Coumadin -also known as Jantoven, Marevan, Lawarin, Waran, Warfant clavax, or Warfarin. Where these medicines fall short is that they have a tendency to increase calcium in the system -leading to a hardening of the arteries. This arterial stiffening means higher blood pressure and therefore, a higher chance of death. Not only this, but even though prescribed drugs like the above possess strong anti-coagulant capabilities, certain medications taken alongside them mean that the effect can be diminished. Foods can also a problem -specifically those foods containing vitamin K like ‘greens’ – leaf vegetables. These negatively impact the effect of the medicines considerably. Boluoke is a supplement that’s safe to take as part of a daily routine. It won’t interfere with a regular diet, and as it’s a way to prevent clots, there’s no need to take stronger more chemical anti-coagulants after a health-damaging blood clot. Why is Boluoke different from other lumbrokinase products? As with any supplement or medicine, the quality and purity of what is contained varies from brand to brand. With Boluoke, the lumbrokinase is the only type to be thoroughly tried and tested in high-profile clinical studies. The results show that the enzymatic strength and quality are not only high enough to be supremely effective, but it is standardised -unlike comparable supplements. As lubrokinase is composed of various enzymes, getting the best purity and mix – using the most efficient extraction method for each – means that the ultimate effect is different from product to product. Put simply, other lumbrokinase products claim to have the properties of Boluoke, but Boluoke is the purest, most recommended by experts and clinically tested of all. Boluoke can be taken daily to prevent harmful coagulation of blood platelets or taken with another thrombus-treating medicine. Taken 30 minutes before meals a Boluoke dosage of one to three tablets daily will support the blood’s anti-clotting role and maintains a balance of just the right amount of blood coagulation enzymes within the system. Even though reaction against lumbrokinase in Boluoke is extremely rare, and side effects are equally unlikely, you should always consult your doctor before commencing any course of treatment. It’s simply amazing to think that this easy to take oral enzyme is a way to prevent the biggest cause of heart attacks and strokes in the Western World. When we add in the fact that the surprising properties of the earthworm have been harnessed initially from the Far East, then we have a solution that’s truly changing medicine worldwide. Please note: Boluoke should only be consumed with your physicians advice if you are already being prescribed other blood thinners such as Coumadin.